I know better than this, you know better than that, please hold me again. Talking to you again is like jumping off the deep end. I really meant it when I said I would never let you down, I'm sorry that I did. We're the best, bad thing, we ever did we ever will. You're the best, worst thing, that ever happen to me. I'm lonely you're gone, can't take it when you're here, hold me again. It hurts my heart to hear your voice, why am I still listening. You're the fire I'm a moth, the bridge I jump off, there's nothing I can do. What kind of fool, tried again and again. What kind of force is this spell. Another down hill slide right into the end. You're the best, bad thing, we ever did we ever will. Hit the lights is a party, feel the beat in your body. Innocently afflicted, nothing too predicted. I like Friday nights, coz I party, watching all my friends get blurry. Disco unisex in the city, freaks rejects, defects getting dizzy. Hurry up with your make up, loose the wig, it's all screwed up. I look hot, you're star struck, it's my night to blow up. Going somewhere cool in the city, put on something nice we're so pretty. Look at everyone else it's pathetic, silly drama scenes that's enough. Come one down it's a party, feel the rush in your body. Up all night wide awake, can you hear my heart break. 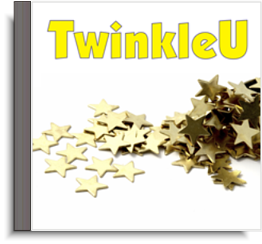 Twinkle, twinkle, little star, I wonder what you are. above the world so high. Show your little light, Twinkle all the night. Could not see which way to go, if you did not twinkle so. In the dark blue sky you keep, and through my curtains you peep, how I wonder what you are. Twinkle, little star, I wonder what you are. Twinkle, twinkle, little star. Twinkle Twinkle little star. Oh Baby, Come To Me. My soul was burning, I try to deny. And all along, I was paralyzed. Now I can’t believe that you exist. I can’t believe this happening, I can’t believe this right now. Everything’s turning, now I can’t deny. Didn’t know, inside I was blind. I can’t believe you, you really exist. Oh baby, come to me, somehow, I’m found. Just when I think, it's right it happens all over again. Can't fight it, can't find it, can't pick up what's fallen down. Can't fight the magic, Can't find the magic. You're right by my side a million miles away. I'm still here wishing for yesterday. Whether you smile at me, kiss me or hold me. Doesn't really matter to me. Just be a sweet baby please and adore me, don't just leave me here on my knees. All I want, is your emotion. What I need is your attention. Make up your mind, don't play with me. Make your decision, what's it gonna what's it gonna be? You can't seem to listen when we're all alone, I take half the attention you give to your phone. I didn't know what to say coz I was too afraid. I don't know how to react, you're confusing me. You said you wanted to be with me last week, now you want a break from me. You said you're crazy 'bout me but tomorrow what's it gonna be? Make your decision, what's it gonna what's it gonna be. It's like pushing a river while I watch you drifting out to sea. I don't ask much, but I've had enough. Is it out of our grasp just to be loved. How should I react, you're confusing me. So make up your mind, what's it gonna be? Fly away and leave your sorrow, fly away and leave your sorrow. Leave your pain and find tomorrow, leave your pain when the light has come. Chase the wind where hearts are bleeding, chase the wind you are not forgotten. Search for light when hope is fading, come to life and hope will be there. Fly away and leave your sorrow, leave your pain and find tomorrow. Find the step of life celebration, come to life and hope will be there. Weary souls rest, in the shade of eternal blooms. A light so kind, will cast away your sorrow, in the light of the sun. Feel the sweet breeze, soft as the breath of angels. Mercy rains down, soothing all that suffer. A triumphant song rises in the heart of everlasting joy. Call out exultation, of majesty and awe, rise up and sing. Rejoice, with your voice, call out and feel the heavens. Joyous hearts with gifts of grace and glory. Poor and humble, toil no more.